Are its claims true? Well let our photos speak for themselves. For more than six months, global NGOs have been pushing this company to stop its destructive practices. But just last week, Greenpeace again caught Bumitama in the act of carving up peatland forests next to the internationally renowned Tanjung Puting National Park, as well as in one of the other concessions where Bumitama denies having destroyed forests. Is Bumitama outright lying to the public, its customers, its shareholders and the RSPO, or does it have its very own definition of what a forest is? Bumitama a member of the Roundtable on Sustainable Palm Oil (RSPO) has made and broken such promises before, claiming to have stopped development in one concession in early 2013 after the discovery of numerous orang-utans stranded in remaining forest areas. But on the ground the clearing has continued and the orang-utans inside its concessions suffered. Greenpeace mapping analysis reveals that the company cleared over 1,150ha in this one concession in 2013 leading to two high-profile orang-utan rescues. The company might claim to be making sacrifices for sustainability, but for the orang-utans in some concessions this comes as too little, too late the forest is all but gone. Greenpeace seeks urgent confirmation from Bumitama that all land clearing has stopped across all its operations, not just those in the public spotlight, and that Bumitama is committing to full forest and peatland protection. Until Bumitama implements to a No Deforestation Policy, the orang-utans and forests in its concessions remain at risk. Wilmar International, the worlds largest palm oil trader, is a cornerstone investor in Bumitama Agri and it buys more than half of Bumitamas production. If these photos represent sustainable palm oil production, then consumers have every right to demand guarantees that Wilmar stop laundering palm oil from forest destruction to the global market. Consumers don’t want to be made part of forest destruction and are demanding urgent action.Some of Wilmars customers, including Ferrero, Mondelz, Nestl and Unilever have already made commitments to get deforestation out of their palm oil supply chains. Just last month, Greenpeace revealed other scandalslinked to Wilmars palm oil supply chain including illegal peatland development, fires, destruction of the Tesso Nilo National Park which is vital habitat for critically endangered Sumatran tigers, and destruction of High Conservation Value (HCV) forest. It’s time for Wilmar to get genuine and implement a No Deforestation Policy for all the palm oil it trades before more scandals come to light. 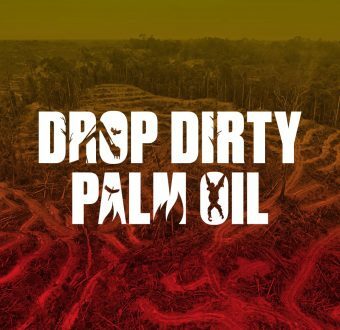 Until then, Greenpeace, backed by a growing movement of supporters demanding clean palm oil, will continue to document and expose gross acts of forest desruction traded onto the global market by Wilmar.